The Central Bank of Nigeria has decried the growing abuse of the naira through squeezing, selling, spraying and marching on foot while dancing at public functions as well as hoarding by some citizens. 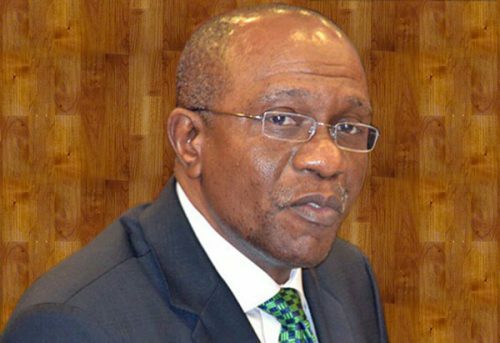 The CBN Governor, Mr Godwin Emefiele, warned that henceforth culprits caught in any of the acts would be liable to six-month imprisonment or a fine of N50,000 or both, in accordance with the CBN Act of 2007. Insisting that the nation’s currency should be accorded equal respect and dignity as its national flag, the apex bank governor explained that the nation was spending more than N100 to mint a N100 note. Emefiele gave the clarification at a two-day sensitisation/enlightenment workshop themed, ‘Promoting Financial Stability and Economic Development’, organised for industrialists, manufacturers, hair dressers, bakers, members of the All Farmers Association of Nigeria, tailors and mechanics, among others, in Owerri on Friday. Represented by the Acting Director of Communication of the bank, Mr. Isaac Okorafor, the governor said that the nationwide sensitisation was in the second phase and had already taken place in 34 states of the federation. “The CBN Fair is meant to inform, educate and enlighten farmers and members of the business community on ways and means to promote and sustain their business outfits,” he stated. According to him, the issuance of legal tender, financial price stability, maintenance of exchange rate stability, developmental functions as well as commercial agricultural credit scheme and accelerated agricultural development in addition to micro, small and medium-scale development fund and natural collateral register now enjoy a pride of place in the league of functions of the bank. The Central Bank of Nigeria on Friday commenced its intervention under the currency swap deal with the injection of CN¥69.85m into the foreign exchange market. The Acting Director, Corporate Communications Department, CBN, Isaac Okorafor, confirmed this in a statement. The statement said in addition to the CN¥69.85m, the apex bank also injected $340.5m into the interbank retail secondary market segment. It said the interventions were only for operators in the agricultural and raw materials sectors of the economy. The statement read in part, “Following last week’s commencement of its intervention in the sale of foreign exchange in Chinese yuan, the CBN injected the sum $340,507,376.51 into the interbank retail Secondary Market Intervention Sales. “The figures obtained from the CBN on Friday, July 27, 2018, showed that the US denominated interventions were only for concerns in the agricultural and raw materials sectors. The CBN explained that the requests attended to were bids received from authorised dealers, adding that the availability of Renminbi was sure to ease pressure on the Nigerian foreign exchange market. It attributed the relative stability in the foreign exchange market to its continued intervention as well as the sustained increase in crude oil prices in the international market. The CBN spokesperson gave an assurance that the apex bank would remain committed to ensuring that all the sectors continue to enjoy access to the foreign exchange required for their business concerns, whether in United States dollars or Chinese yuan.